The first RX-7 was released in 1978 – ten years after Arai’s first full-face lid. Arai’s distinctive helmet design is intended to ‘glance-off’ during any crash, always offering the impact point a radius to help protect your head. Why has Arai maintained the RX7’s shell profile for so long? At Arai we believe in evolution, not revolution. It’s a fact that the strongest shell design is the one we feature; similar to an egg’s shape. The RX7-V’s shell is actually slightly different to the RX7-GP, because it’s slightly longer and narrower, but we’re proud to say it is very similar to what we’ve already been producing. We have made the changes we need to, including those to the design of the helmet’s seven vents, which are now longer, lower and wider at the rear. These were a logical thing to alter, and they are distinctively different looking to what we’ve run before, with physical blanks located at the mouth of the inlet tracts to reduce wind noise. These were changes we needed to make; radically altering the shape of the helmet wasn’t. 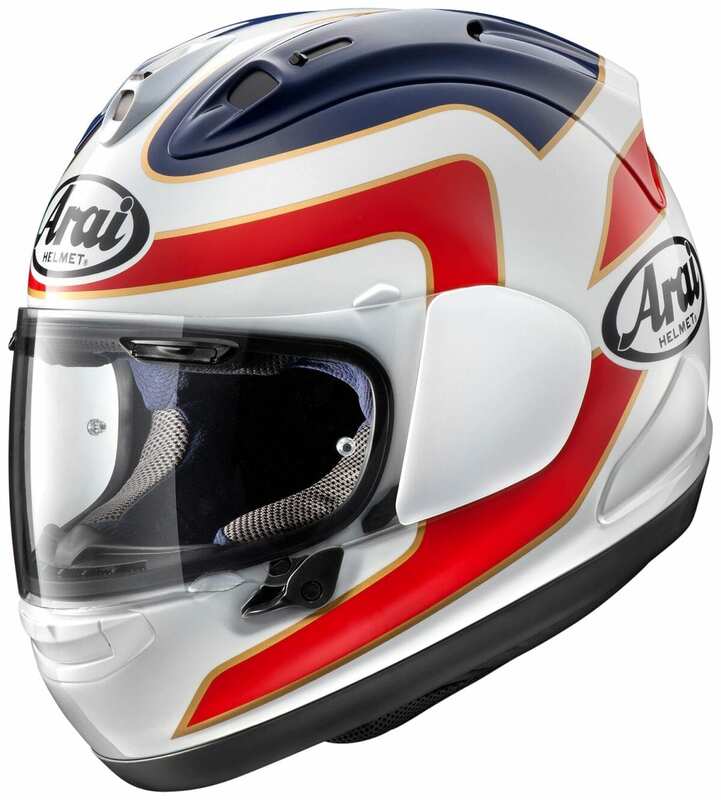 Where does Arai sit in the current market place? We are, and have always been, a premium helmet manufacturer. Generations of technology and manufacturing prowess have gone into making our products what they are, which is why we have such a domineering prescience in motorsport (over half of the TT grid and F1 drivers wear Arai). 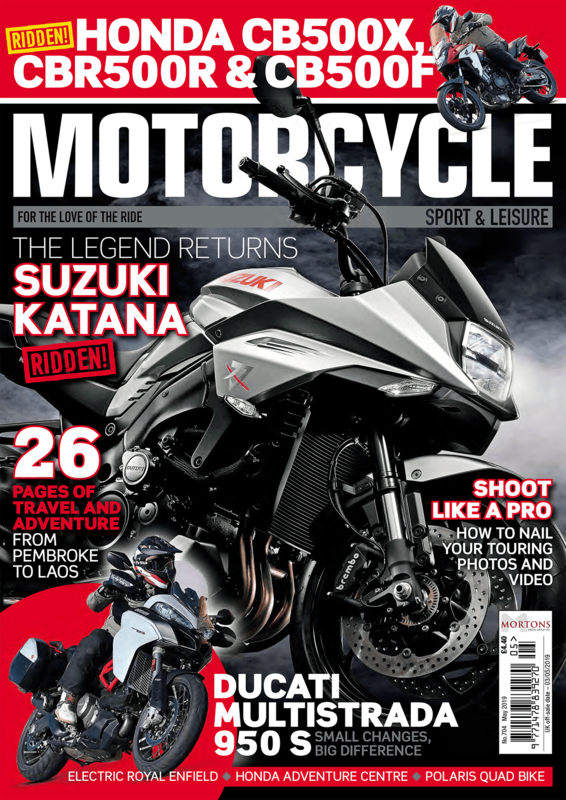 The introduction of lesser-priced helmet brands will always compromise us in one way or another, but we take faith in knowing that those motorcyclist who won’t opt for anything than the best will always come to us for a new helmet. How will the new side pods affect the RX7’s SHARP testing results? It’s unlikely the changes made to the side pods will alter the SHARP results in any way, but that was never the goal behind the development. Arai has been producing helmets for decades, and we focus on improving our helmets to our standards. The decision to reduce the size of the size pods was to lessen what we call the ‘catch area’ of the helmet. The reasons behind this included being able to reduce the chances of the helmet’s side pods catching anything when sliding along the ground, but also to allow us to build a stronger shell surface area (because there is more shell and less space given over to the visor mechanism behind the pods), whilst also reducing the aerodynamic drag and any resulting wind noise. 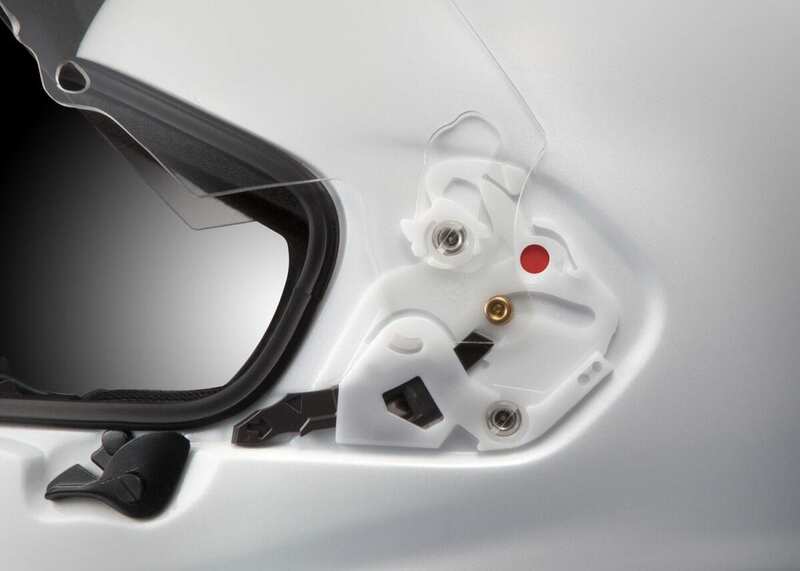 Will the new visor and lock mechanism appear on other Arais? For this year the innovations will be exclusive to the RX7-V, but it is our intention to start incorporating the technology on other models in the future. Realistically, it’s most likely that the advancements will be applied to a single model per year; it’s not a case of just changing a couple of screws; every helmet will have to be significantly re-mastered.